This well maintained 3 bed/3.5 bath in quiet neighborhood with great schools. Features a corner fireplace in the L/R, eat in kitchen, main floor master suite w/jet tub, two bedrooms upstairs and a sunny non conforming 4th bedroom and a finished recreation room in the basement. Hardwood floors on main level. Laundry closet on main level. Large back yard with patio. Newly painted interior. Comfy covered front porch to sit and relax. Bring your best offers. Very motivated sellers. 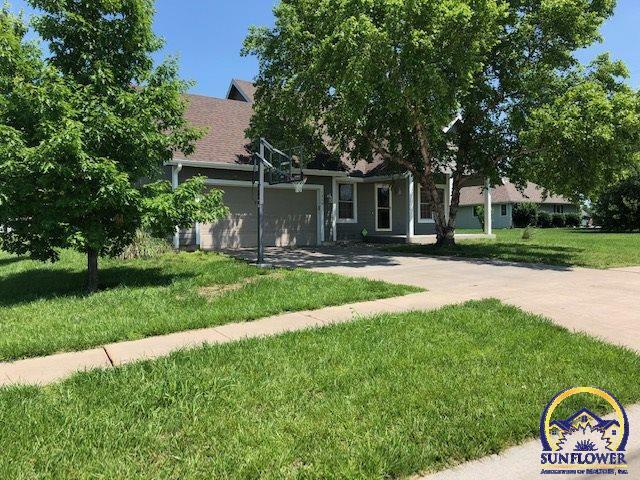 © 2019 Topeka Area Association of REALTORS All rights reserved. Information deemed to be reliable but not guaranteed. The data relating to real estate for sale on this website comes in part from the Broker Reciprocity Program. Real estate listings held by brokerage firms other than EK Real Estate are marked with the BR logo and detailed information about them includes the name of the listing brokers. Listing broker has attempted to offer accurate data, but buyers are advised to confirm all items. Information last updated on 2019-04-23.